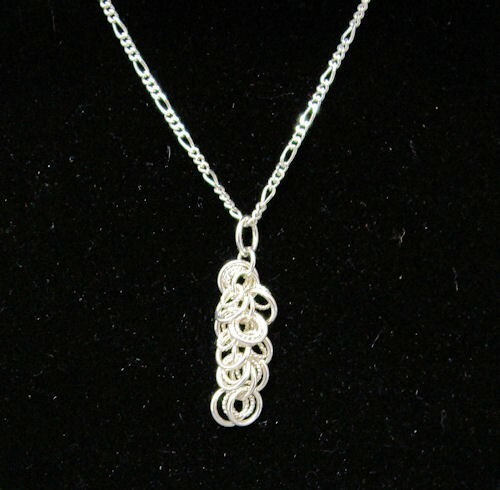 The Sassy Swirl of Rings Pendant has great movement and sparkle. It is a wonderful piece of jewelry to wear. The necklace chain is not included in the kit. This is a beginner weave.